The International Fund for Agricultural Development (IFAD) had chosen Bernadette Manuel, a beneficiary of the Rural Micro Enterprise Promotion Program (RuMEPP) in Caraga, representing the Philippines during the 34th Session of the IFAD Governing Council in Rome, Italy last February 19-20, 2011. Manuel is the proprietor of Seon Kris Food Products based in Cagtinae, Malimono, Surigao del Norte. She is one of the recipients of the Product Development and Upgrading-Composed Technologies for Sales Enhancement (ProDUCTS) training held in Surigao City last December 2009. After participating in the training, she was able to avail free label designs and a loan amounting to P20,000 from a RuMEPP-partner microfinance institution - the Socorro Empowered People’s Cooperative (SOEMCO). RuMEPP is a seven-year, US$22.826 million program funded by the International Fund for Agricultural Development (IFAD) with Department of Trade and Industry (DTI as the lead implementing agency. It aims to help rural poor entrepreneurs by providing technical and financial assistance for micro enterprises. Manuel started her business in 2008 by selling peanut rolls while studying in college, where her first customers are her classmates, neighbors and friends. She later produced two more products, polvoron and dried squid. At the IFAD session, Manuel talked on the topic, “Weathering the global economic crisis: opportunities and challenges for rural youth in the Asia and the Pacific Region,” where she was able to share her experience as a young entrepreneur and the employment opportunities for rural youth and challenges that young people are facing in rural areas in the country. 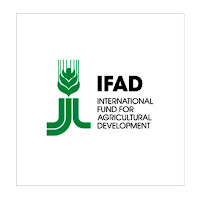 The IFAD Governing Council Meeting is an annual gathering of all IFAD Member States to discuss internal affairs of the council as well as external matters that concerns among other funding support to the developing nations like the Philippines. This year’s theme was “Youth and Development” and Manuel, a 26 years old businesswoman, was an embodiment of a rural youth who transpired from the stereotype population of unemployed individuals by breaking into business, said a statement from IFAD.